From the moment you start planning your event to your trip from from the arena, SuiteHop is proud to bring you access to all the tools you need for crafting an unforgettable event experience. We are proud to share our partnerships with companies who can help take your suite experience to the next level. When you take work with these great partners, the Suite Life extends much further than the stadium walls. What if you could experience the best sporting events in the country and fly home the very same day? Thanks to Big Game Air, now you can! Big Game Air is a premium provider of per-seat access to luxury jets and game day travel experiences for the ultimate sports fan. Big Game Air provides same-day round trip travel on private jets to major sporting events across the country. Tired of the hassle of traffic and parking at busy events? Buster is the solution! 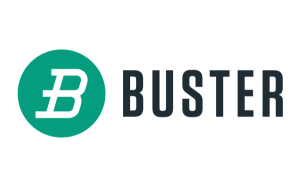 Buster is the easiest way to book buses, vans, and limos. From private parties to corporate events, Buster has the most convenience, flexibility, and trust worthy service to get you and your group to the Suite Life. Wunderdog Sports was started in 2001 by a guy with a knack for picking NFL underdogs. The company now provides sports predictions to over half-a-million sports fans for every major U.S. sport every day. Wunderdog Sports has grown at an average rate of over 450% from since starting in 2001, landing a spot on StartupNation’s 2007 Top 10 list of Financial Performers (selected from among 16,500,000 qualifying businesses). Wunderdog Sports has been featured on ESPN and on MSN.com and has also been featured in the Wall Street Journal, on Entreprenuer.com and in ColoradoBiz Magazine. Wunderdog Sports has also been featured in a case study on the Harvard Business Review by the Darden School of Business at the University of Virginia. Founded by Atlanta entrepreneur and art aficionado, Robbi Raitt, Club Magnolia reflects both Robbi and his wife Pam’s love for art and the rich tradition of the Masters Golf Tournament. Club Magnolia is a testament of both of their care for detail and quality. Mr. Raitt has worked for over 20 years in the hospitality and event arena, providing packages for major events, worldwide, to corporate clients and individuals alike. He and his wife are also the owners of Orange Hill Art Gallery in the heart of Virginia Highlands in Atlanta. Club Magnolia‘s refreshingly unique southern yet retro-modern feel provides the perfect sanctuary for enjoying the Masters experience.